The Central Bank of Libya (CBL) announced today that it has, in conjunction with mobile company, Almadar launched the first phase of the Sadad mobile electronic payment service. The CBL said that it ‘‘considers the mobile e-payment system as one of the leading national projects in Libya aimed at achieving a comprehensive financial system in progressing the electronic payments systems through advanced modern solutions’’. ‘‘The new mobile e-payment system will enable users to make everyday payments and the transfer of money with total ease making everyday life easier for Libyan citizens’’, the CBL concluded. The CBL referred customers to Almadar’s Sadad website for registration and more details. However, at the time of writing Libya Herald attempted to test the site and register, but the website was still not working. The CBL statement gave no further details about the new payment system. If the proposed new service is indeed successfully launched and it operates on the level of other African services such as the M-Pesa service in Kenya, it could transform Libya’s dilapidated financial system and ailing cash-based economy. 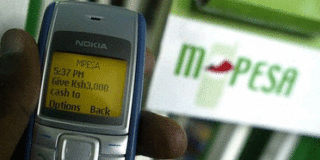 The success of Kenya’s M-Pensa service was partly due to the fact that it worked on old fashioned pre-smart phones sets which opened up to eve the lowest socio-economic groups of the country. (M-Pensa). Kenya’s M-Pesa allows users to deposit, withdraw, transfer money and pay for goods and services easily. More importantly it allows users with even the old fashioned pre-smart mobile devices to use the service. The service allows users to deposit money into an account stored on their cell phones, to send balances using PIN-secured SMS text messages to other users, including sellers of goods and services, and to redeem deposits for regular money. Users are charged a small fee for sending and withdrawing money using the service. It is still not clear what the CBL and Al-Madar plans for its Sadad service in Libya. However, in Kenya, M-Pesa operates as a branchless banking service where customers can deposit and withdraw money from a network of agents that includes airtime resellers and retail outlets acting as banking agents. M-Pesa spread quickly after its launch in Kenya, and by 2010 had become the most successful mobile-phone-based financial service in the developing world. The service has been praised for giving millions of people access to the formal financial system and for reducing the black market economy and for reducing crime in otherwise largely cash-based societies. The potential for this service is huge and revolutionary. For example, in Kenya, by 2014 almost half the value of the country’s GDP was transacted through M-Pesa. In the short term the service could solve Libya’s acute cash shortage crisis and vanish overnight queues outside banks. It could act as a catalyst to reignite the ailing economy and kick start the reform of Libya’s archaic financial system.